Across The Grid With Lindal Kidd! 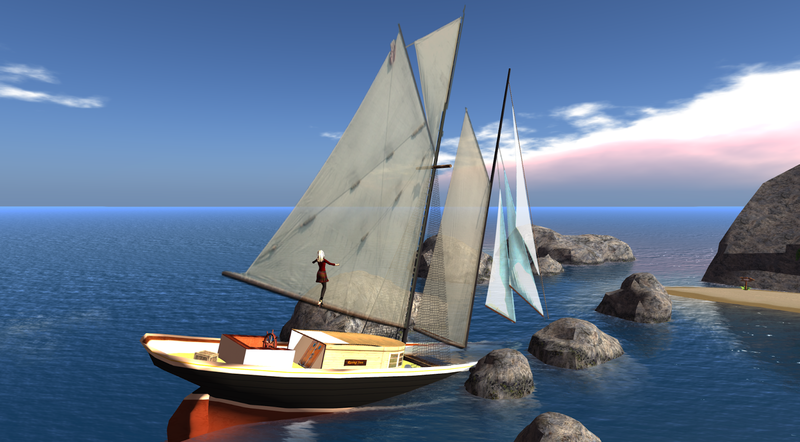 : Getting Started in Second Life...an Update! Those of us who have been in Second Life a while remember what the New User Experience was like...although, because of changes made over the years, we may remember quite different things! Although the current New User Experience has been in place for quite a few months now, I thought it might be interesting, for both new and prospective residents, as well as us oldbies, to see what it is like to enter Second Life for the first time nowadays! Click the Play for Free Button! You can select from several different groups. Here I'm showing the "normal humans" selection, but you can also choose from among furries, vampires and lycans, animals, and vehicles. Don't feel pressured here, because you can always change your mind later and put on a different avatar appearance. Plus, you'll quickly start to collect new appearance items and customize your look with them. This is another important step...choosing a password, and entering your email, real life birthday, and a secret question/answer combination. Don't use the same password for SL that you use for other web sites. USE YOUR ACTUAL BIRTHDAY. If you are under 16 and you get caught lying about your age you will be permanently banned from SL, and so will anyone else using your computer. If you are 75 and think that it would be great to be 17 again, don't do that either...you won't be able to get into a lot of interesting places in SL. Nobody except Linden Lab will ever be given this data, so enter the correct date. And for heavens' sake, WRITE DOWN the user name, password, email address, and secret question/answer and save them in a secure place. Recovering a "lost" account without this information is possible, but it's a huge pain. Here you can choose your account type...a free Basic account or a paid Premium account. The Premium account has some benefits, but for now, choose Basic. You can always upgrade later. Besides, most people find that a Basic account works just fine for them! Here's the last screen. 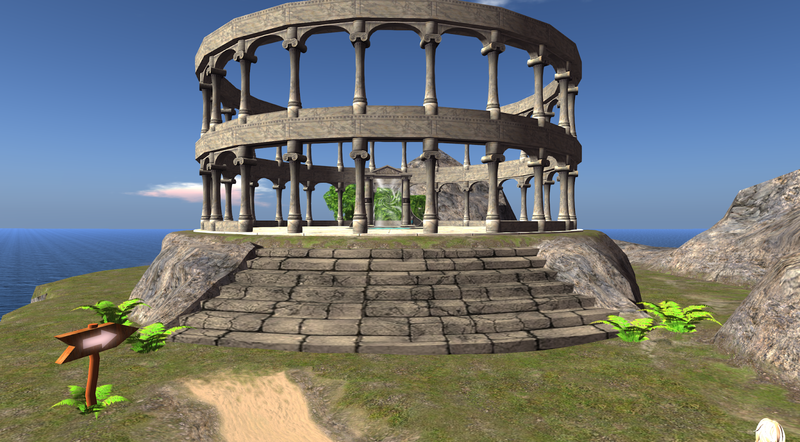 The next step is to download and install the "viewer" software, the program that lets you get into the Second Life world. Don't Forget to Download and Install a Viewer! You will be presented with the Second Life Terms of Service. You MUST scroll the TOS down, at least a little bit, to let the software know you have read them. Then click Accept. I know you are anxious to get on with it, so I won't tell you to actually READ the entire TOS and all the secondary policies that are linked to them. But I do encourage you to look them all up, and read them at some point. Up at the top of your screen is your location. 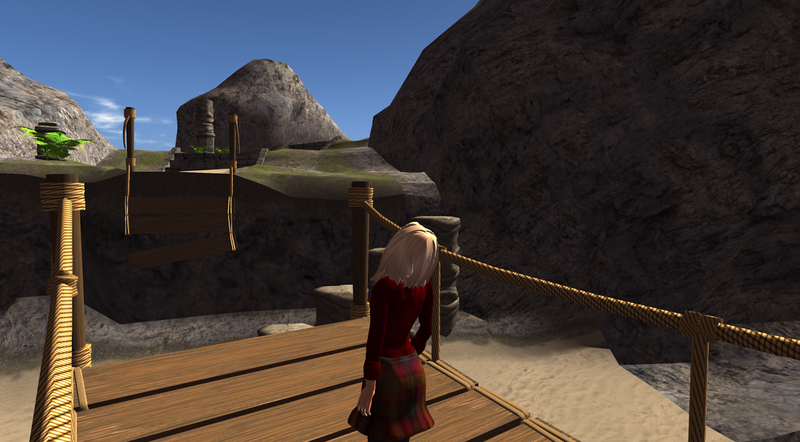 This is "Learning Island," the first of two mandatory stops on your way into the main Second Life world. See the arrow on the post? Follow those to get to the exit. At the bottom right, you'll see a communications window. Here you can communicate with everyone in the vicinity using Local Chat, or with people privately, one-on-one in an IM. You'll see I'm chastising Dav2 here...the fellow holding the sign. Dav has a whole slew of alts, and can be found at most of the new user areas most of the time. Unfortunately, he doesn't always give correct or intelligible advice. He's not malicious, but I think his brain is wired differently than almost everyone else's! But, perhaps fortunately, he's in so many places at once that he's almost always AFK...Away from Keyboard. Dav is only the first of many eccentric personalities you'll meet in SL! One of the most scenic things at Learning Island is the shipwreck. It doesn't DO anything, but it's very picturesque. As you move along the path, you may notice another small window open up on the right side, just above the chat window. This is an information HUD (a "Head Up Display.") Most HUDs in Second Life stay on your screen all the time, but this is one of the new-fangled kind that appears for a while, and then disappears when its job is done...in this case, providing you some basic information, like how to walk, run, and fly. Follow the path as it meanders over the island. Aerial View of Learning Island. Start at the left, wind up on the right! One of the bridges is out. This is to encourage you to try flying across! At the end of the path is a coliseum with a single portal door. Walk through this door to be teleported to the second (and last!) mandatory stop, Social Island. For a tour of Social Island, see my previous post, "A Visit to Social Island." Ignore any crowds of griefers or troublemakers, should they be present. 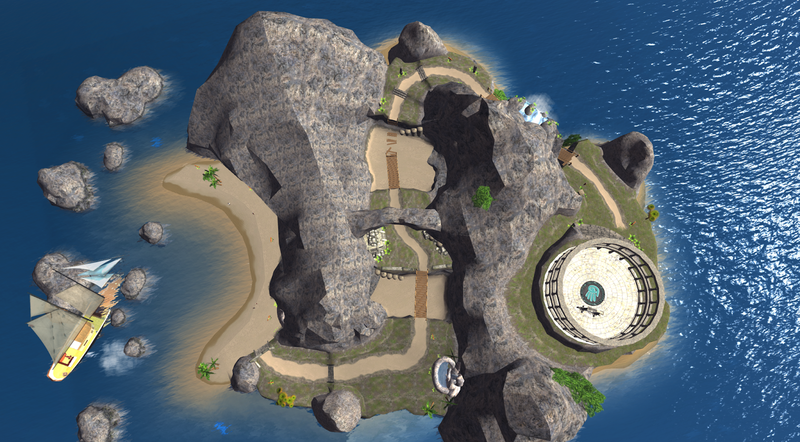 Just enjoy exploring the island and continuing to play with your menus and controls. 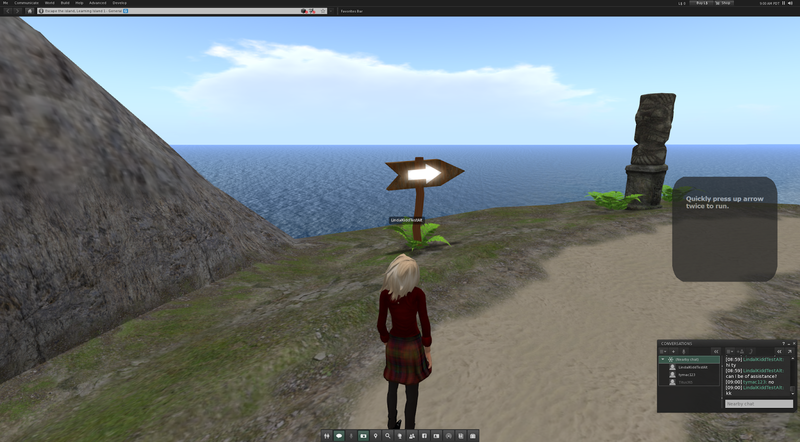 Then use the Search or Destinations buttons (a magnifying glass and a map push pin, respectively) to find other places of interest to visit in Second Life! Or, there is a coliseum there too, with a variety of portal doors. Each door will take you to a random destination within its general category. We always say "log out," but there's no "log out" button apparent, and that confuses some people! When you have to get back to Real Life, just hit the big X in the upper right corner of the SL window to close it, or hit CTRL+Q. *Changing your outfit. Open your inventory, the button with the suitcase symbol (shortcut: CTRL+I.) Find the folder Library/Clothing/Initial Outfits. Pick one of the sub-folders, drag it and drop it onto your avatar...er, your cloud. You should appear ("rez") within a few seconds. EDIT, Nov 24 2014: Instead of Library/Clothing/Initial Outfits, try an avatar from the folder Library/Clothing/Older Outfits. The "Initial Outfits" folder now contains all-mesh avatars, which are not customizable and can really confuse you when you start to try to change your look. Use an avatar from the Older Outfits folder, or any avatar that does not have "Mesh" in its name, and you'll learn how to wear different clothes and change your look a lot faster and easier! An even easier way to do this is to use the Avatars button...the top button on the left side of your screen, with two people on it. Choose one of the "classic" avatars...you'll find them much easier to edit and customize. EDIT, Sept 3, 2016: The Initial Outfits folder now contains "hybrid" avatars...ones that use the classic avatar body (easier to understand and edit) and Mesh clothing. It also contains the all-mesh avatars mentioned above. Some of the new hybrid avatars feature a new "fantasy" theme...you can choose from among ten avatars suited for fantasy roleplay. In addition, Social Island has gotten a complete makeover, and now features a much more comprehensive set of tutorials and learning experiences.